Founded in 1967 by Dr. Walter A. Shaw, Avanti Polar Lipids, Inc. originated from Dr. Shaw’s own need for highly purified egg phosphatidylcholine for use in a lipoprotein lipase assay. 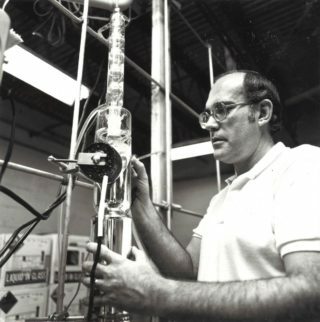 The excess material he produced was evaluated and purchased by Grand Island Biological Company (GIBCO, now part of Invitrogen/Thermo Fisher Scientific), and Avanti was born soon thereafter. Dr. Shaw’s vision was to provide scientists with the highest quality lipid products available thereby eliminating the uncertainty of questionable lipid reagents. It is that vision which continues to direct the company today. By maintaining our commitment to quality on which we were established, Avanti has built a loyal following of customers. We take pride in the amazing things they do with our lipids, and it drives us to provide more innovative tools to advance their research. Each year we see our customer base multiply, not only in North America but globally through our network of distributors. We continue to improve and expand our distribution network to reach more scientists who need “the good stuff”. For more information on the history of Avanti, please click here.